When a baby is born, their family is typically over the moon. They love and cherish the new life they have brought into the world more than words could ever describe, and they can’t wait to watch him, or her grow up. Despite the sleepless nights and years of stress, children are usually the light of their parents’ lives. However, what if that new baby is not quite what you expected? Are they still the light of their parents’ lives? What about when a child is born that is not just incredible to its parents, but also the rest of the world, stumping medical professionals everywhere? 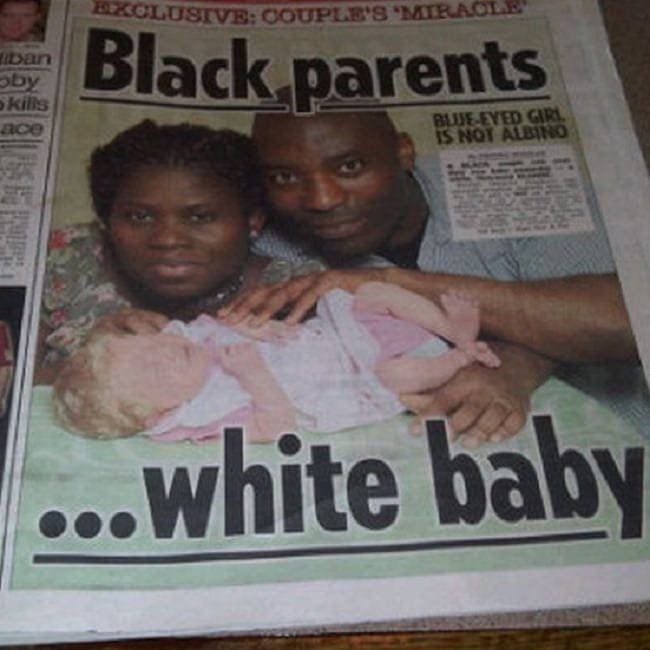 This was the case when two black Nigerian parents gave birth to their third child. Many newborns hit the news for their own reasons. Some are abnormally heavy, others are surprisingly small, many have a full head of hair, and some might have a full set of teeth, but not Nmachi. She was making history for a whole different reason. Angela and Ben Ihegboro are the Nigerian parents of an already happy family. 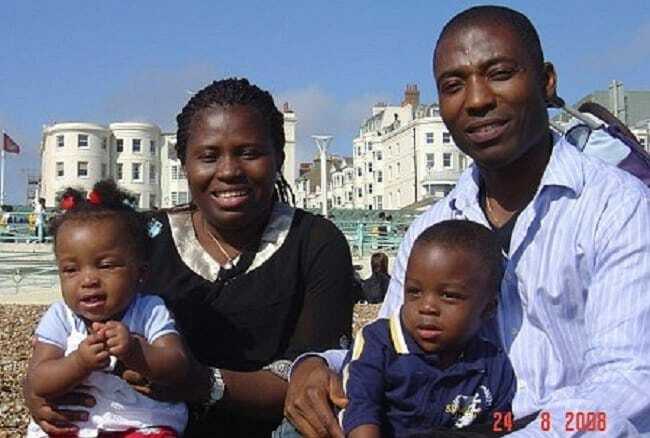 The husband and wife were born and raised in Nigeria, but have since moved to the United Kingdom where they have raised two children – a daughter and a son. The couple has lived in London for five years, and when Angela was 35 years old, she was delighted to discover that they would soon be welcoming their third child. They’re a family orientated couple and couldn’t wait to expand it. 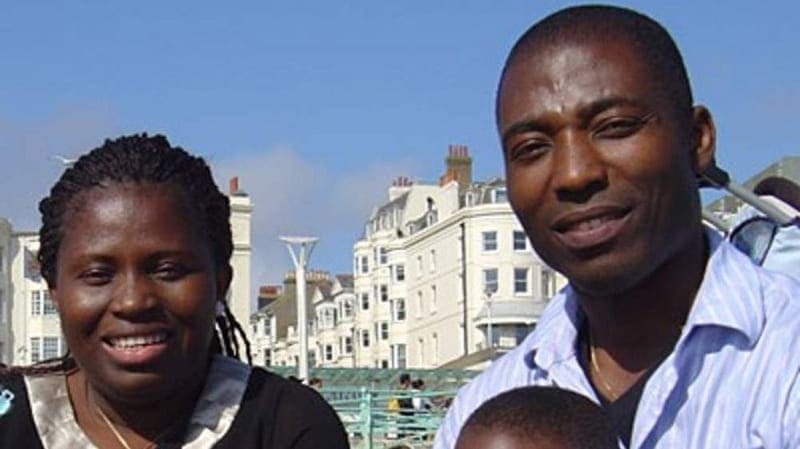 Both Angela and Ben were brought up in Nigeria and born to long lines of Nigerian ancestors. Every generation preceding them were similar in looks – dark skin, dark hair, and brown eyes. 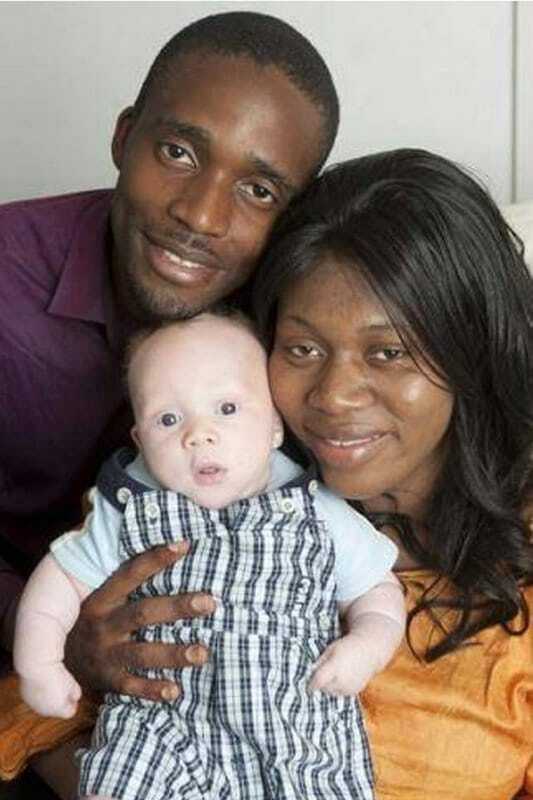 They are your average couple and the descendants of native Nigerians. Their looks are nothing out of the ordinary, yet Nmachi was so incredibly different. 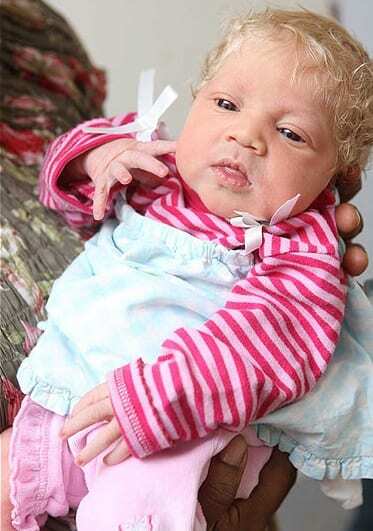 She had doctors completely baffled from the moment she was born, for she was dubbed as some sort of medical miracle, making history for being so unusual. 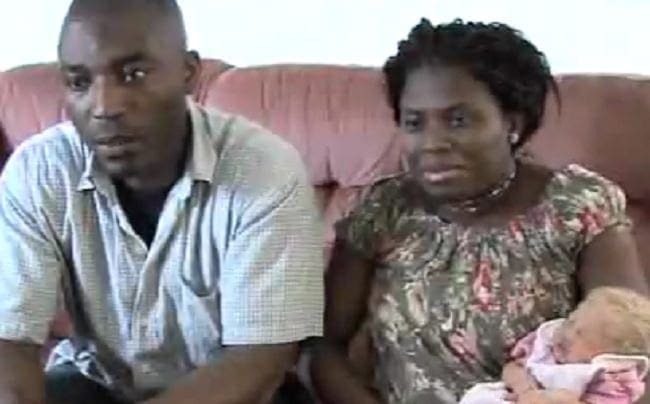 In 2010, Ben and Angela met their precious baby daughter. The neonatal child was utterly beautiful, but for such a bizarre reason. Angela’s pregnancy was normal and healthy. Her labor had been pretty standard, and not too different from that of her last two deliveries. As soon as Nmachi was born, the jaws of everyone in the room dropped to the floor. What was going on and why was Nmachi so unique? 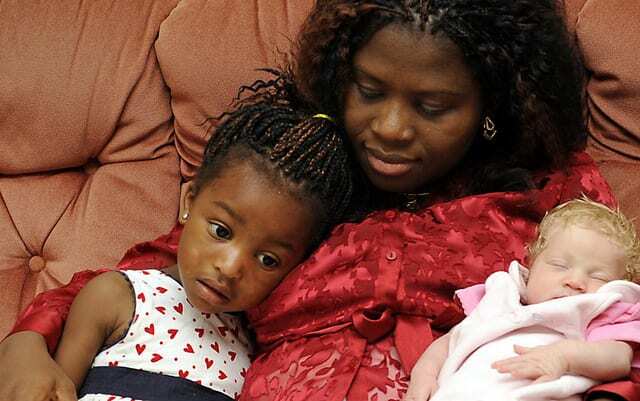 She had the most obvious of differences compared to her Nigerian parents, but why? Nmachi was not just a little dissimilar to the rest of her family, but she was actually a wild contrast. 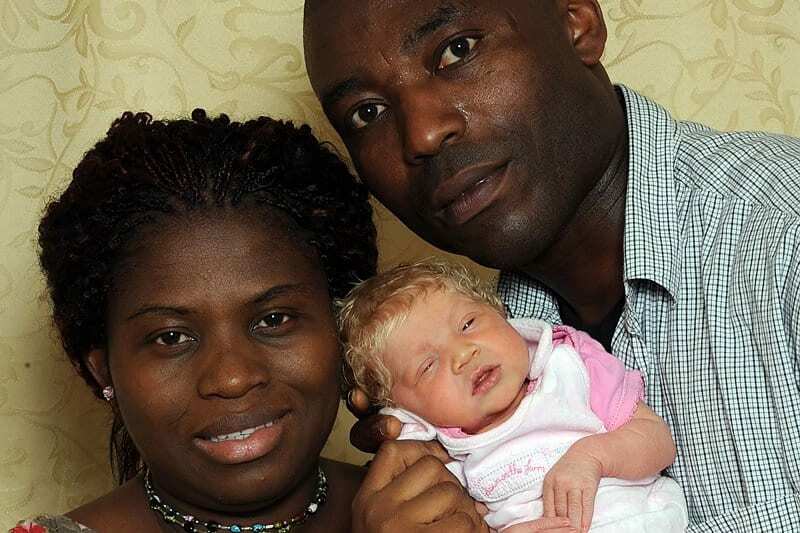 She was born with white skin, unlike her native Nigerian family. She even had blonde hair and blue eyes. How could this have happened? 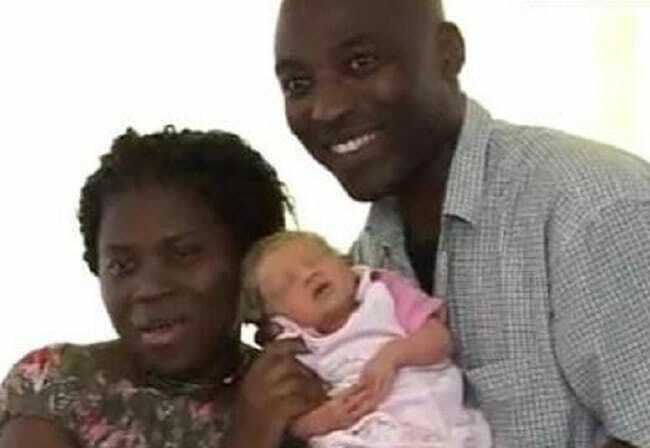 Unsurprisingly, their shock was met with the immediate thought of “is this my baby?” but knowing the doctors couldn’t have mixed her up in the seconds between her birth and her parents seeing her, they knew she most definitely was, but it made no sense. So, the doctors couldn’t have mixed her up, and why would they? She was definitely Angela’s child. 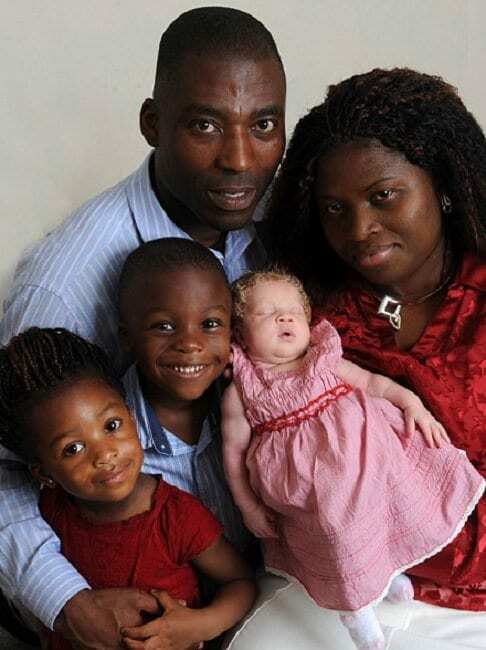 They had no idea a family with a long line of black descendants could even give birth to a white child. More to the point, the doctors were confused, too. Ben and Angela thought they could trust in the doctors to give them a reasonable explanation, but much to their disappointment, the doctors were just as bewildered as they were. Surely there had to be an answer somewhere? The doctors were trying to find an explanation for the incredible birth which was set to make history, but first, they needed an answer to a question no one wants to ask. The doctors skirted around the subject before eventually asking Angela if Ben was Nmachi’s biological father. Outraged, Angela assured the doctors that Nmachi was the offspring of both her and Ben. The doctors didn’t want to believe Angela, seeing as infidelity was the most straightforward answer to the situation, but they knew they now needed to explore other avenues. The main cause that doctors could suggest was albinism. 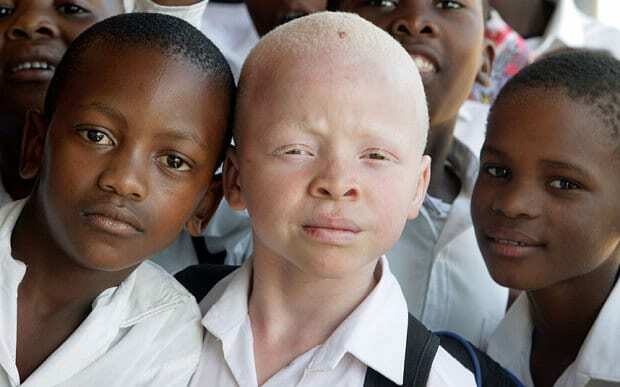 Albinos are born with a distinct lack of melanin, which means that their skin, eyes, and hair lack pigment, causing them to exhibit white skin and light blonde hair, regardless of their heritage. As Nmachi had been born to two black parents, with a history of black ancestors on both sides of the family, but with white skin and blonde hair, albinism was definitely a possibility. Everyone thought they finally had their answer. 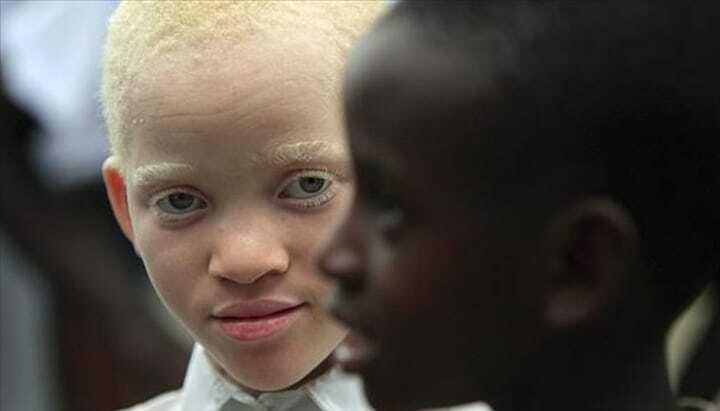 Albinism is actually most common in Africa, particularly Nigeria, so this cause was looking more and more likely as the doctors explained about the genetic mutation. Roughly every one in 70 people across the world have some traits of albinism, even if not fully albino. 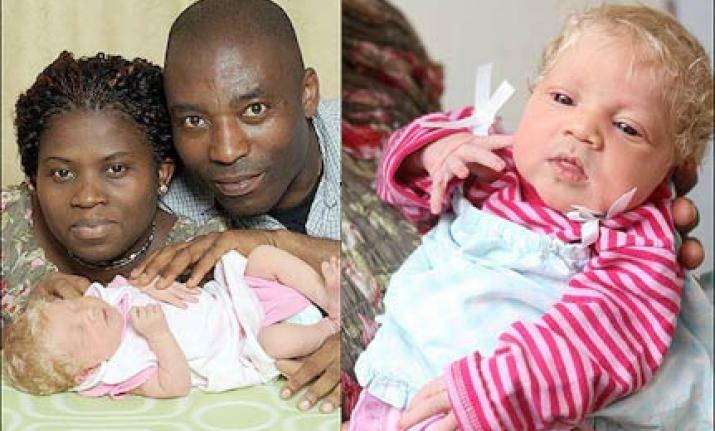 Though relatively common in their home country, Ben and Angela had never thought about the possibility of giving birth to an albino child, hence their surprise when they met little Nmachi for the first time. 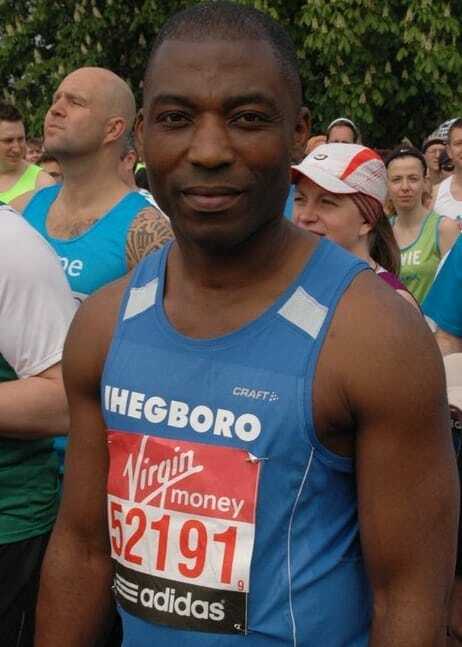 The doctors told Angela and Ben that they wanted to run some tests to be certain, which they happily agreed to, hoping to find some definitive answers. They were adamant that Nmachi couldn’t have a father other than Ben, and so a medical explanation could be the only way. However, upon doing the tests on Nmachi, they discovered that she didn’t actually exhibit albinism in its true form, only the possibility of a mutated version. Their only idea had been debunked. Doctors decided that there was only one option left, and it lies within Angela and Ben’s dormant genes. Recessive genes can skip multiple generations before coming to fruition in a child. They can equally remain dormant forever. What if this was the only explanation? If Nmachi was the child of both parents for sure, and she wasn’t explicitly albino, then her genes had to have something to do with it. Everyone was determined to get to the bottom of the family’s absurd case. Like a volcano lying dormant for tens, or even hundreds, of years, that could be ready to blow at any moment; genes act in a similar way. Genes are passed down from family member to family member, but, just because its present, doesn’t mean it will necessarily be seen. Doctors explained to Nmachi’s parents that pretty much the only possibility left was that both, or one of them must carry a dormant white gene which had only just become visible in their third child. As the doctors discussed this possibility with Ben and Angela, they spoke about their relatives. Neither of them had any knowledge of white ancestors, but the doctors explained that despite being black, they could have had a white relative or two, somewhere within their heritage. This would then cause them to carry a dormant white skin gene, which they have passed onto their newborn daughter, where it has finally become visible. After all, it had happened before, so it could happen again. 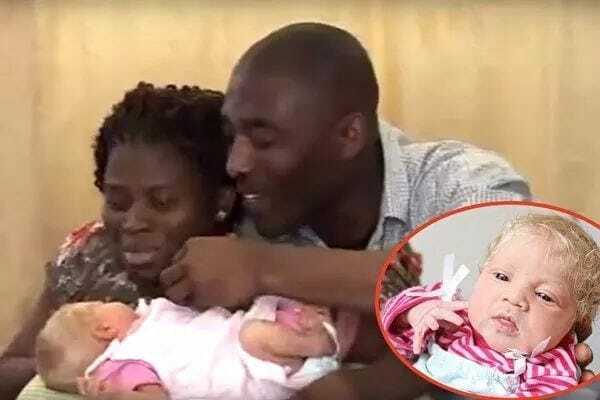 Not only had a black couple given birth to a white child who didn’t have albinism several times before, but it also happened again, just a year after Nmachi’s birth. 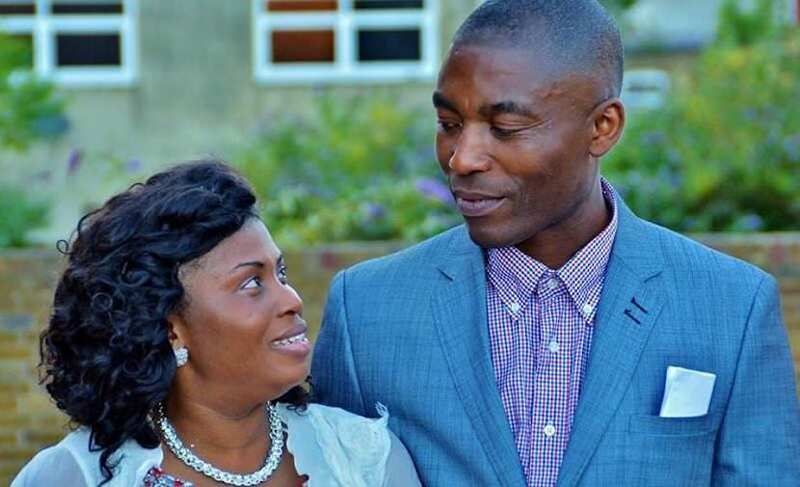 Francis and Arlette Tshibangu were excited to welcome a baby boy into their family, only to discover that he was white, even though they were both black. They already had one son, who looked similar to them, and had dark skin, hair, and eyes like they did, but their new baby was different. Much like Angela and Ben Ihegboro, Francis and Arlette spent many hours trying to figure out a logical explanation for their son’s unexpected appearance. They searched through their family’s history in search of an answer within their genes and finally found what they were looking for. Arlette’s great-great-great-grandmother was actually white, possessing the gene that must have been passed down to their baby boy. They can never be sure that this is the definite cause, but it definitely seemed like the most likely option. After being advised that their baby’s physical differences were most likely due to a dormant gene, Ben and Angela decided to explore their ancestry. They traced down many of their distant relatives, but neither parent found any sign of a white relative. Regardless, they presumed that somewhere in one of their families a white relative would be present, explaining their daughter’s looks. They had as much of an answer as they supposed they were going to get, and they adored their daughter anyway. 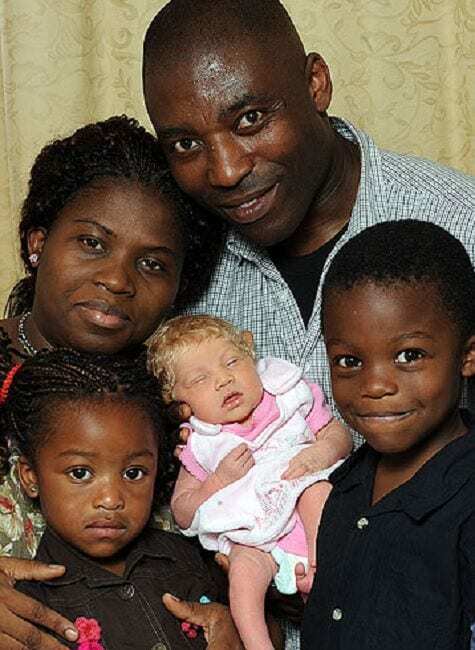 The doctors were confused by the lack of white relatives in Angela and Ben’s history, meaning that other options could have been a possibility, but they were out of ideas. The only other conclusion that anyone could come to was the chance that Nmachi had a unique condition – a condition so unique that no one else has it. This could explain why Nmachi might not have any white relatives or albinism. For this reason, there would be no treatment or real diagnosis, but Ben and Angela didn’t mind. Unfortunately, due to her differences compared to the rest of her family, there is a good chance that Nmachi may be the victim of future social injustice. While we can hope this will not be the case, it is certainly common to see in Nigeria, where many children are born albino. 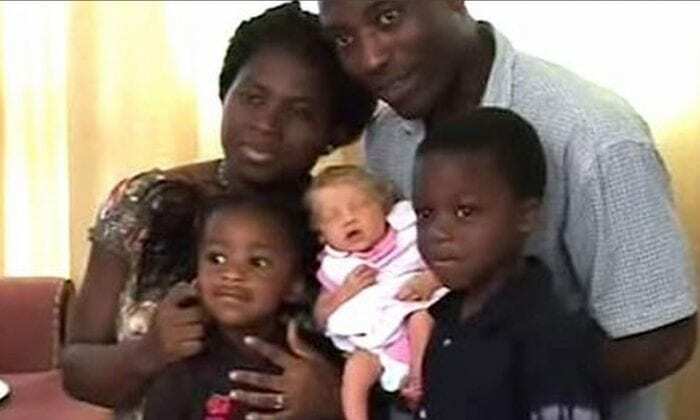 Doctors also explained to Ben and Angela that if Nmachi has children when she’s older, they may also be white, or they could resemble the rest of her Nigerian family’s looks. Nmachi has been named the miracle baby, for good reason. No one has been able to provide Ben and Angela with an answer as to why she looks the way she does, but they don’t mind. They would have been interested to know why she looks so different, but they aren’t fussed. At the end of the day, they adore their baby girl, whether she looks similar or not. They are proud to be her parents, even though she is so astoundingly different to the rest of the family. It’s no surprise that when the story of Nmachi’s birth got out, it was all over the media. A picture of the baby and her parents hit newspapers, and soon, everyone knew them. Doctors and fans all over the world tried to come up with their own ideas as to why Nmachi was white, unlike her dark-skinned family. Many agreed with the albinism theory or disbelieved the infidelity denials. Either way, the family are happy, Nmachi is healthy, and they are instead focusing on appreciating their daughter’s unique beauty.